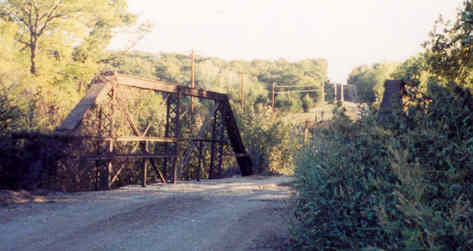 Crystal Creek Bridge, Pawnee Co. These photos show a 4-panel pin-connected Pratt pony truss in a picturesque part of Pawnee County. This bridge is open to traffic with a 4 ton limit. Records show it was moved here in 1932. 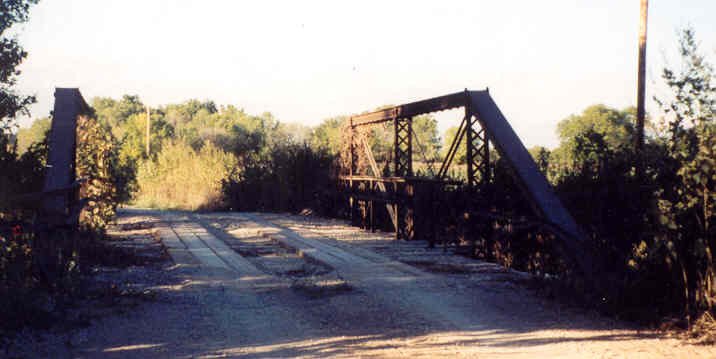 This type of bridge was popular from about 1900 to 1920.